Videobooth is an affordable mobile solution for capturing pictures and videos at your event. 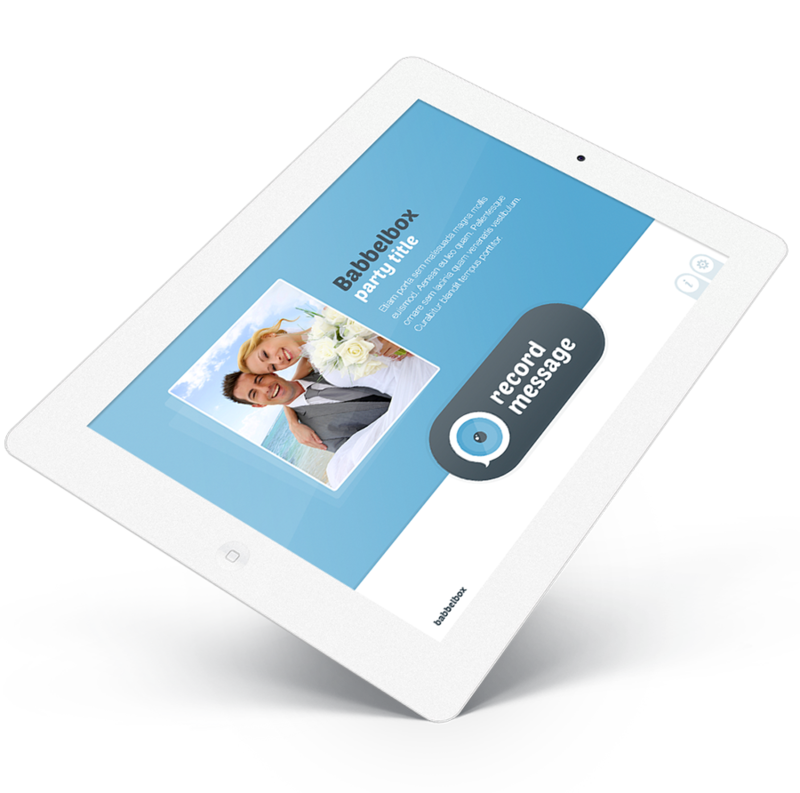 The digital guestbook app gives your guests or visitors the opportunity to leave personal messages which are saved directly on your tablet. Getting married in the near future? 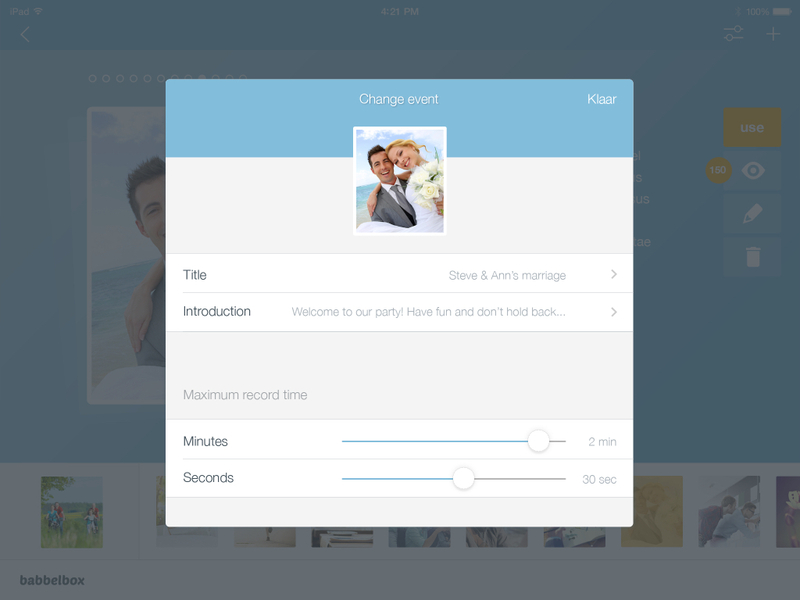 Videobooth is the mobile app to save all your memories and messages from your friends at your wedding! Videobooth should not be missed during your birthday party. Give your guests the opportunity to share a personal happy birthday video and watch them afterwards as much as you want! Are you hosting an event? 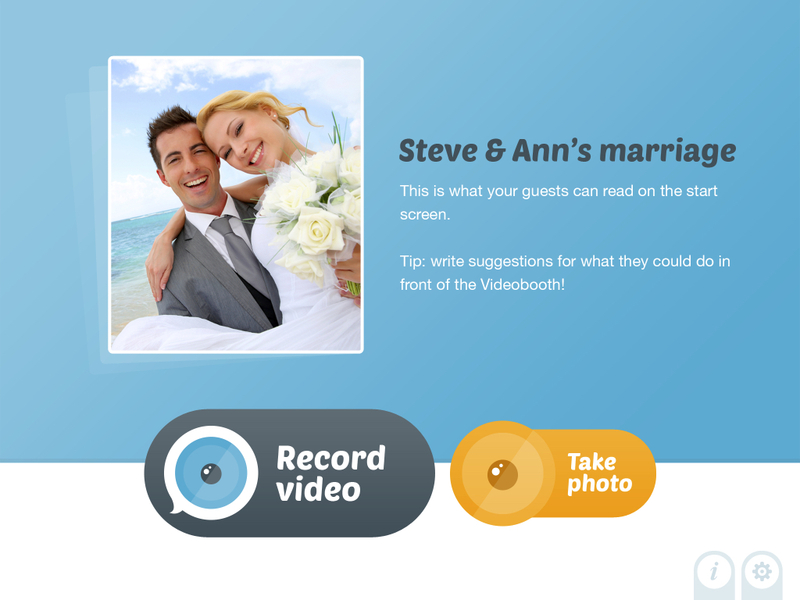 Then give your visitors the possibility to leave a message with the help of the Videobooth app. On October 27th, Q-music DJ Vincent Vangeel reviewed the Videobooth app. Each week he discusses the three most popular mobile apps during the iTunes top 40. In his opinion the Videobooth app was a great and interesting concept which is perfect for capturing the best moments of your party! Listen to the audio clip. In comparison to the ordinary video booths the Videobooth solution is immediately available to download through the Apple store or the Google Play store. Once you bought the Videobooth app you own it so you don't have to rent it each time you are hosting an event. Videobooth is designed to be easy and fast for everybody! Videobooth allows users to create multiple events for capturing photos and videos which can be easily exported to your Mac or PC. By adding a logo and a scrapbook you are able to personalise each of your events. Thanks to Videobooth your guests are able to record videos and take photos at your event. 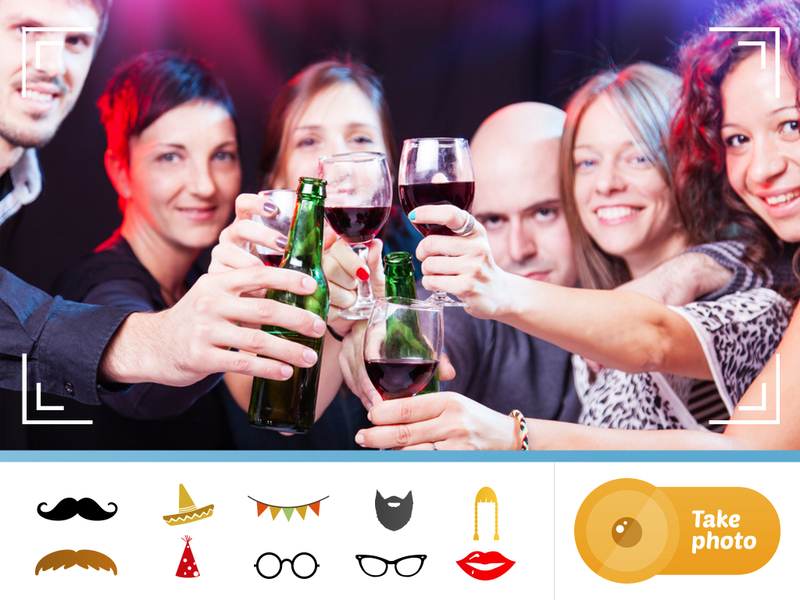 Users also have to opportunity to add visual effects to their photos like moustaches, sombreros, etc. All previous video recordings and photos are locked with a password so we ensure that your media is safe.